Born again at Zen no yu. We offer healing time with natural hot spring gushed up from own source. After a long stressful day, relaxing in a hot onsen with steam-filled air, then drinking a cool beer... this supreme bliss for Japanese people. Yet, on top of being an excellent way to relax, onsens’ healing properties have been common knowledge in Japan for centuries. As such, visiting onsens is a popular activity in Japan. Not every hot water source can an onsen. In fact, what makes an onsen, an onsen, has been strictly established by the ‘’Onsen Law’’ of 1948. Indeed, the mineral water that flows from the earth and its steam must conform to multiple criterias. For example, the water cannot be under 25 degrees as it gushes from the ground, and its steam must have specific mineral properties. Additionally, the mineral and chemical content of the water cannot have been altered (no chemicals added). In other words, everything must be natural. Teionsen, or ‘’low temperature onsen,’’ where the water is between 25 and 34 degrees. Onsen, ‘’Hot Spring,’’ between 34 and 42 degrees. Kouonsen, ou ‘’High Temperature onsen,’’ where the water is above 42 degrees. There are more ways, however, by which you can categorize onsens, such as by the water’s acidity level for example. People in good health can bathe 2-3 times a day. However it is not recommended for the elderly, children, and people with weaker health to bathe in an onsen more than once or twice a day. 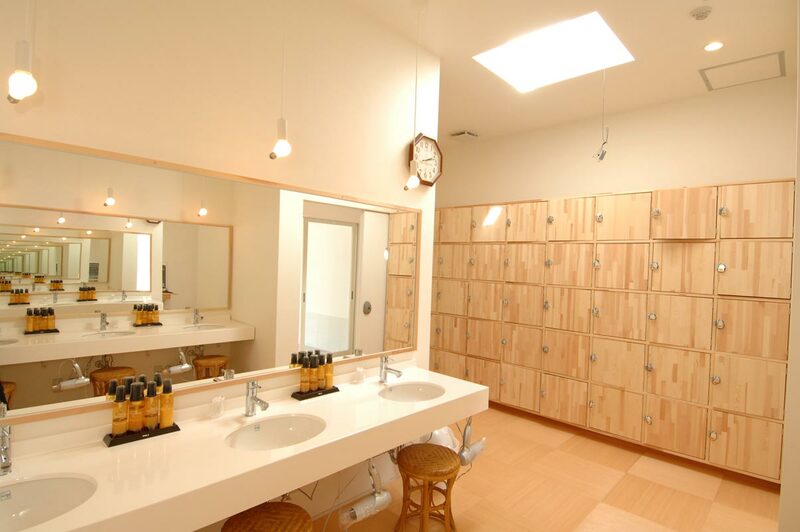 If the onsen water is very warm, the recommended bathing time is 10 minutes. But if the water is cooler, you can bathe up to 20-30 minutes. Onsens are good for you health! The most popular onsens in Japan are those in which the water is odorless and colorless. Baths where the temperature is below 25 degrees, less harsh on the body, are recommended for the elderly, and for people recovering from injuries. Onsens have healing qualities? 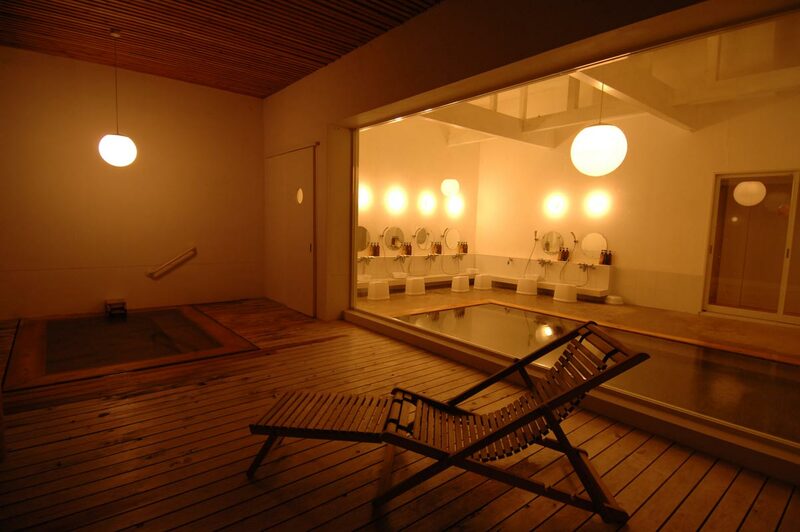 : bathing in an onsen is good for people with high blood pressure, hardened arteries, or nevrosis. 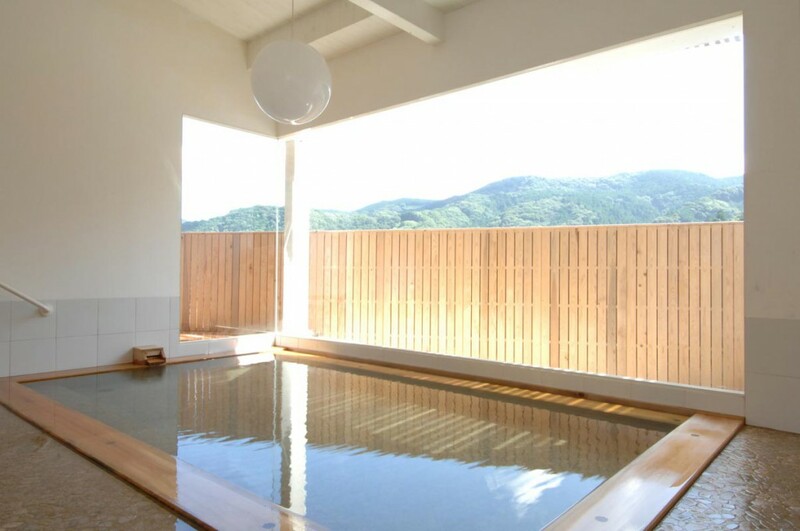 Onsens can also help relieve muscular pain, joint pain, bruises, hemorroids, fatigue and insomnia, etc. The interior, designed in line with the concepts of Zen Buddhism, deftly fuses modern architecture with brightness and sense of freshness?with the ambiance of an ancient temple. The water in the onsen at Zen no Yu comes from natural hot springs. Because it is rich in?minerals, it has therapeutic benefits. There is also a fountain that provides this same mineral-rich water to benefit the body on the inside. Very pure hot spring without neither heating nor adding waters with open air hot spring and private bath facilities. 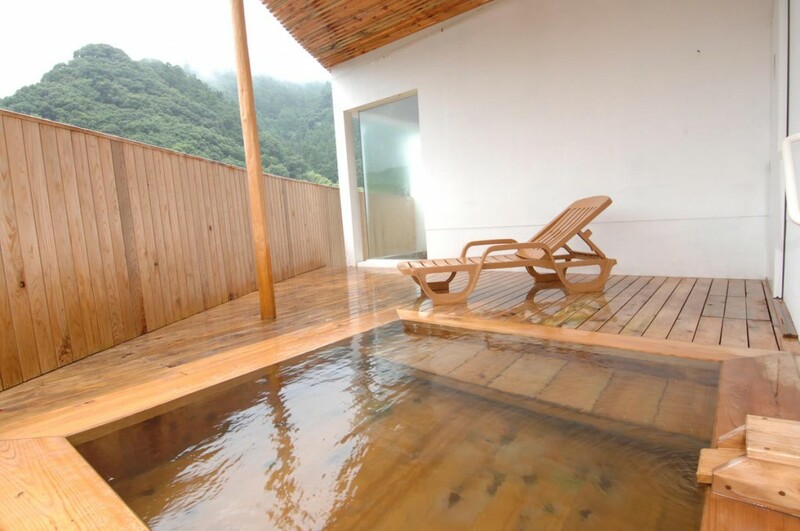 In our outdoor onsen,you can relax and enjoy the view of the mountainous landscape. The hotel also includes a sauna filled with hot stones from hot springs such as?tourmaline and other platonic rocks. The stone-covered ground of the sauna?gives off a constant heat, and the room is wide enough to rest in. Protective?covering shelters the body from adiation and negative ions, so you can relax?and your skin will appear nicer and healthier. Moreover, brain waves change for a?spiritual effect too. so you would need to keep them in the designated locker room. Please heal your mind and body at homely Zen house.